Approaching the home of Scott and Karen Letourneau on their property east of Bend, the elegant sloped angles of arts and crafts architecture and glimpses of a sleeping porch ready to impart a summer’s night dream are a welcome sight. 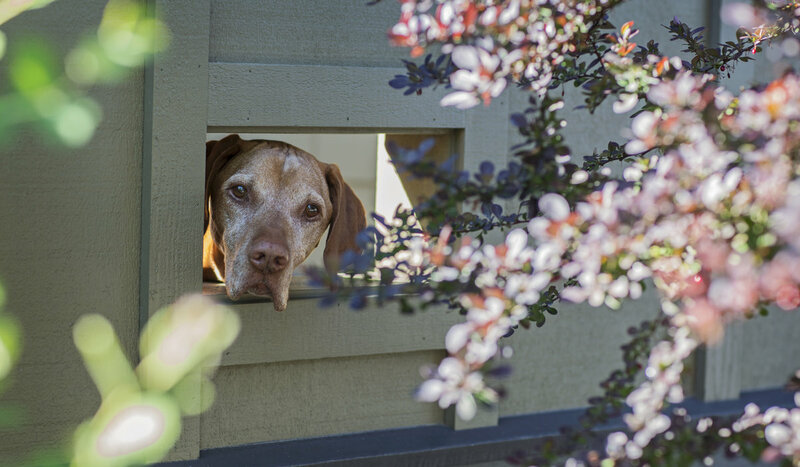 Even more welcoming is the head of their eight-year-old Vizsla, Gus, who pops his head out of a custom-designed dog-level window as a greeting. 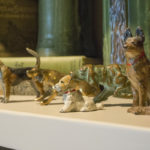 When it comes to designing a personal space, the Letourneaus succeeded in highlighting their personal passions: architectural design and animals. 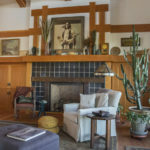 Scott, an anesthesiologist, and Karen, founder and owner of Bend retail gift/décor shops Lone Crow Bungalow and Lark Mountain Modern, both originally hail from the East Coast and came to Bend 20 years ago with an appreciation for the past. 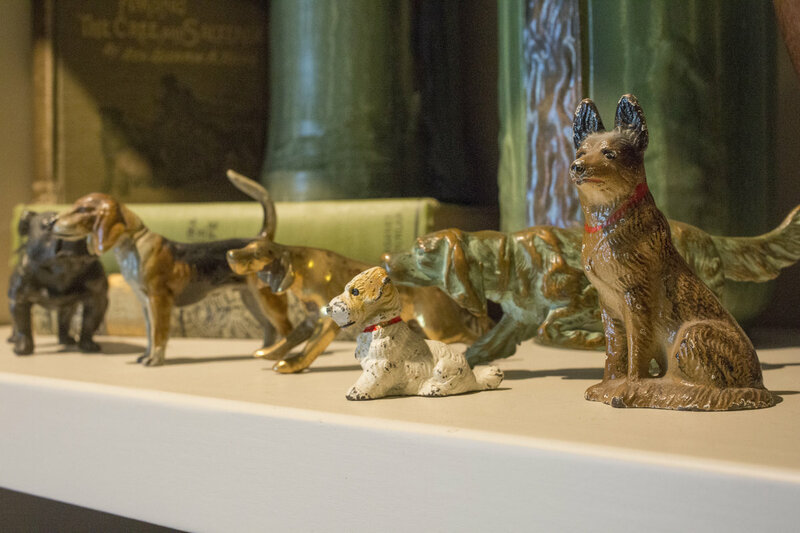 “I’ve always been interested in the history of a place and its architecture,” says Karen. 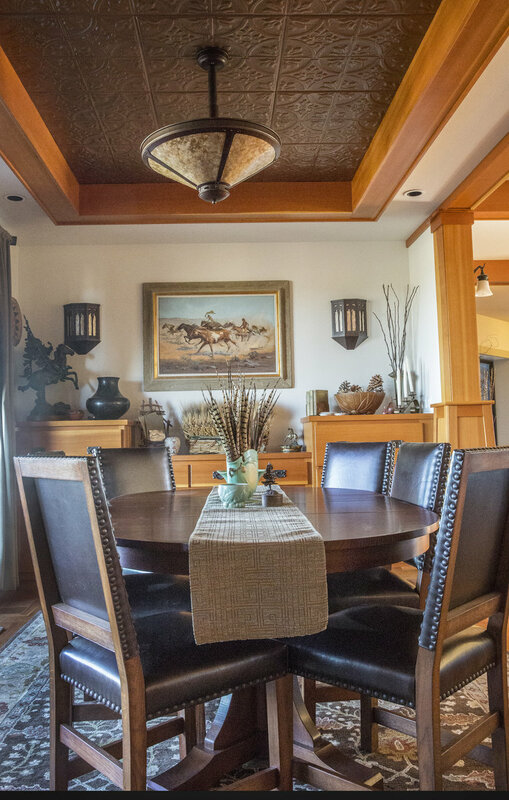 After staying at the Lara House, one of Bend’s original Craftsman bungalows, the couple was intrigued. 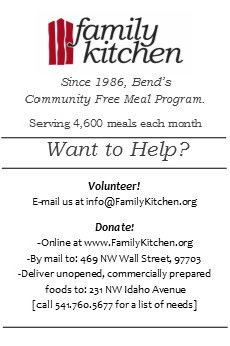 “Bend’s first Big Boom was during the Craftsman Movement,” adds Scott. Having always been enamored with the craftsman style, they took this as a sign that moving to Bend would be natural fit. 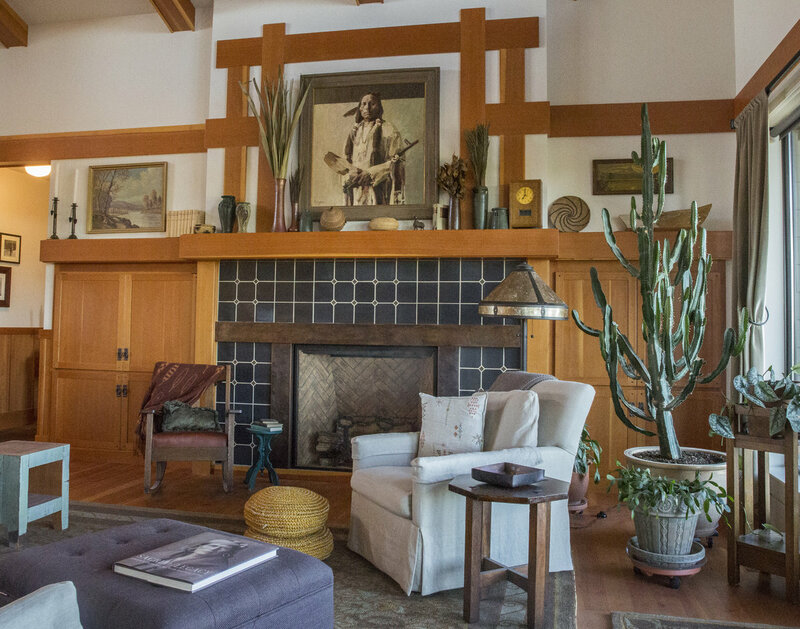 Research of not only Bend’s Craftsman history, but tours of the Gamble House and Bungalow Heaven in Pasadena gave the Letourneaus the inspiration they needed to build their own custom home in Bend. Following the principles of Greene and Greene architectural design, the home features detailed woodworking, and pitched rooflines and overhangs—which have Asian influences of their own—and are well-adapted to the Central Oregon climate by protecting the home from bright afternoon sun in the summer to keep it cool. Though not seen, the home is built of insulated concrete forms, a building practice that belies the elegant beauty of the home with walls of fire-protection. 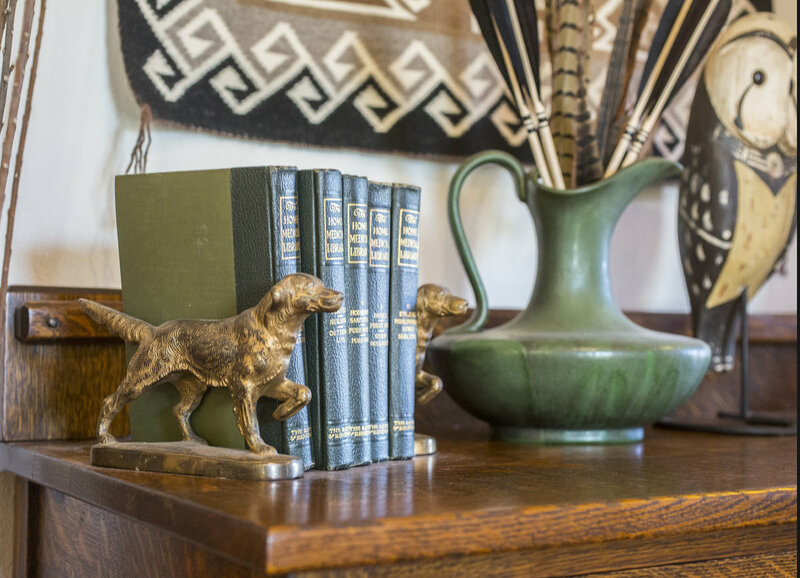 The couple’s passions for history and craftsman design pair with a love of their furry family members. Prime interior space provides Gus with a sunny place for his dog bed and a custom-built door leads to his own outdoor room of the house where a porthole-inspired window allows him to greet visitors and see views of seven mountain peaks on a clear day. 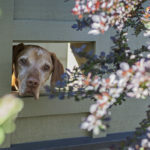 Karen (a self-professed “animal nut”) and Scott (a skilled naturalist and outdoorsman) have found the Vizsla to be a dog well-adapted to the Bend environment. The Hungarian short-hair breed is athletic and perfectly suited for long mountain bike rides and hunting. Gus is the fourth Vizsla for the Letourneaus, following beloved Tristan (a.k.a. Tigger), Scout and Dixie. The couple has rescued three of these four dogs and are advocates for this route of adoption. “People think all rescue dogs come with baggage, but that’s not always the case,” says Karen. Gus is a well-mannered “goofy gentleman,” she says. 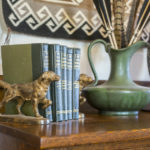 Happy adventure brought this family to Bend where they created their unique imprint in the community and a home that reflects history, their passions and a gives a lucky dog the best view in town.